- Packed with flavor, baked, not fried. 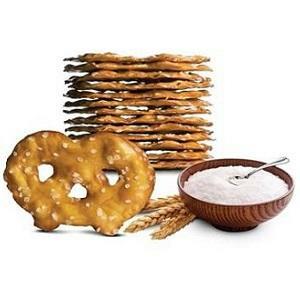 We reinvented the pretzel to create a wholesome, flavorful and fun snacking alternative. 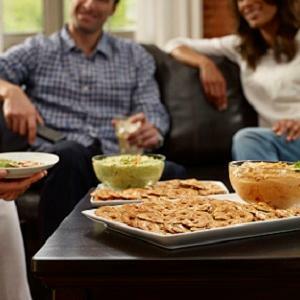 All the flavor and crunch – but lighter, crispier and more versatile than ever. 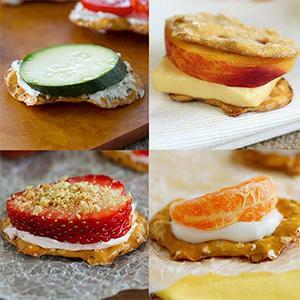 Eat them straight out of the bag; top with meat, cheese, fruit and veggies; pair with your favorite dip or spread! 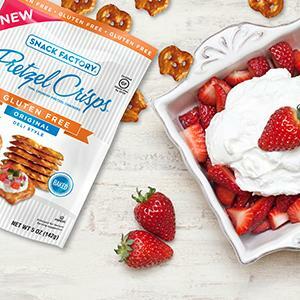 New Gluten Free Snack Factory Pretzel Crisps offer the wholesome goodness and simple ingredient list that our fans love while providing gluten sensitive snackers with a delicious and guilt-free snack to nosh, top and share. Flavors: Original, Original Minis, Salted Caramel Minis, Dark Chocolate Flavored Crunch Minis, Vanilla Yogurt Flavored Crunch Minis.